We visited our vegetable garden. 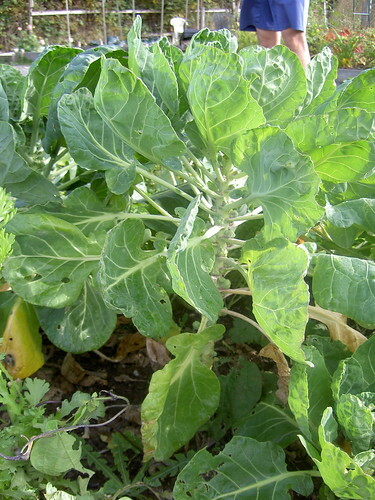 My husband planted this vegetable called Kohlrabi. It grew well and we harvested the big ones. 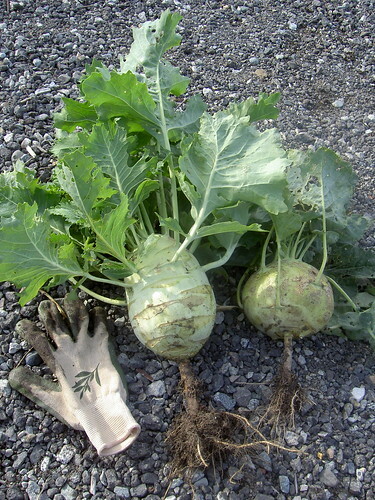 I had no clue for how to cook so I searched the net and read … “You should select Kohlrabis which are 2 inches in diameter…” DOH! The harvested Kohlrabi is like the size of my head. I lost my cooking will. There are still small ones in our garden, so I should rush to get them. Not to waste, I will cook the big ones too. There is one more thing that we are looking forward to the harvest. What do you think this is? The answer is Brussels Sprouts. 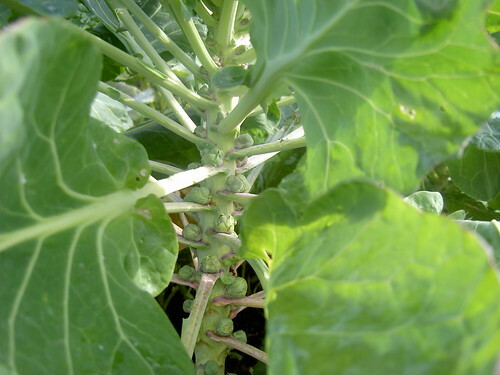 Actually we didn’t know that Brussels sprouts grow like this.